Meg graduated from UTAS with a combined arts/law degree (First Class Hons in Law), majoring in international relations and a PhD in law. She was awarded an Elite Research Scholarship to commence a PhD thesis in environmental law at UTAS, exploring legal implementation of the human right to a healthy environment in Australia. In addition to her PhD research, Meg has conducted research for the Antarctic, Climate & Ecosystems Cooperative Research Centre and the CSIRO Coastal Collaboration Cluster. She was also awarded a Research Fellowship with the Institute for the Study of Social Change in 2016. Meg has taken on numerous teaching roles within the Faculty, including co-ordinating the intensive version of the foundation law unit 'Introduction to Law' and the elective unit ‘Animal Law’. She lectures on a sessional basis in various units, including 'Current Issues in Environmental Law & Policy', and tutored for 7 years in constitutional law. She currently supervises honours students for the unit ‘Supervised Research Paper’. She is particularly interested in mooting, having established an internal UTAS moot competition, coached moot teams at both UTAS and Monash University, and judged in national moot competitions. Meg has held positions with various animal law organisations, including the Barristers Animal Welfare Panel (former National/Tasmanian Coordinator), the Animal Law Institute (former Director of Education), the Australian Animal Protection Law Journal and the Voiceless Legal Advisory Council. In 2013, she created and co-ordinated Tasmania's first animal law conference, having been awarded a grant from Voiceless, the animal protection institute. She has been asked to speak at international and national conferences on both animal and environmental law topics, and is a Member of the Global Network for the Study of Human Rights and the Environment (GNHRE). 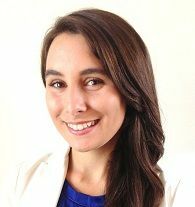 In recognition of her work, Meg has won various awards including the inaugural RSPCA Australia Sybil Emslie Animal Law Scholarship 2016, Andrew Inglis Clark Scholarship in Law and History 2016, National Environmental Law Association National Essay Prize 2013, and the Southern Cross Young Achiever Award for Leadership and Innovation 2013. Meg is currently based in Sydney, working at Voiceless, the animal protection institute as the Animal Law & Education Manager.